THE Jordanian-born leader of Al-Qaida in Iraq, Abu Musab al-Zarqawi, was killed in a US air raid on a Baquba safehouse the terrorist mastermind was using on Wednesday night. 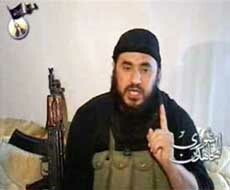 President George W. Bush on Thursday confirmed al-Zarqawi’s death. Following criticism from all quarters, including the Congress, the UPA government today decided to drop the newly introduced form 2F for filing income tax returns. The Punjab Government today cleared the super mega car manufacturing project of Rs 1500 crore to be set up by the German automobile company, Volkswagen, at any of three sites available at Nabha, Ropar or Ladowal in Ludhiana. The Delhi Police today filed an FIR against the Apollo hospital for giving incorrect information in the Rahul Mahajan drug abuse case. Weather-wise, there is some not-so-good news. The southwest monsoon has gone into a weak phase and weather experts are not willing to hazard a comment, or even a guess, on when it will revive. The bear hammering of Sensex continued today with the benchmark index falling by a whopping 461 points to close at 9,296. In the broader markets, Nifty shed 4.8 per cent or 136 points to close at 2,724. The Central government’s efficient statisticians gleefully announced a few days ago that India’s economy had crossed the 8-per cent growth barrier. Two former Samajwadi Party MPs, including cine star Jaya Bachchan were today elected to the Rajya Sabha unopposed. Principal Secretary (Legislative Assembly) and Returning Officer Rajendra Prasad Pandey announced their election. Despite the government’s disclaimers, Prime Minister Manmohan Singh may eventually agree to a partial rollback of fuel prices but only after discussing the matter at the next meeting of the Left-UPA coordination committee, which is likely to be held in the third week of the month. Dr A.P.J. Abdul Kalam today became the first President to make a sortie in a supersonic fighter jet, fulfilling a childhood dream when he made a flight in a Su-30MKI multi-role combat aircraft from an airbase here.